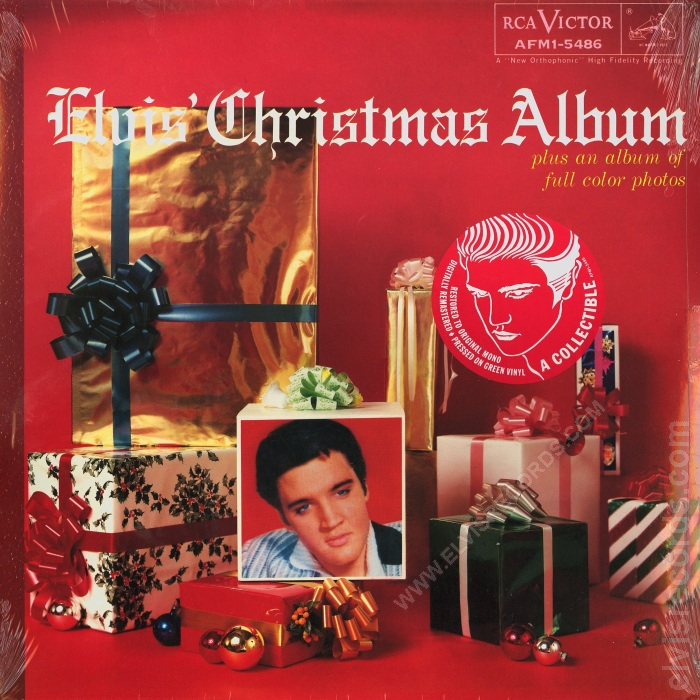 Cover Front: RCA Victor logo and number at upper right. May or may not have sticker. 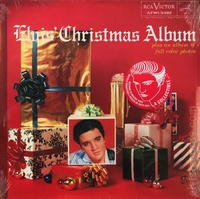 Cover Back: Color picture of Elvis with contents on either side. Barcode on upper right corner. Previously Released as LPM-1951 lower right corner. There are several significant differences in the artwork for the front cover of this release versus that of the original LOC-1035. 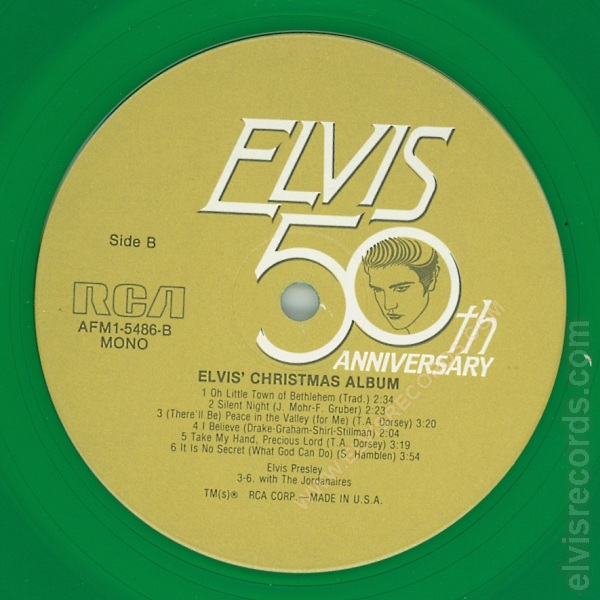 From the original cover, the title Elvis' Christmas Album is below the gold box with green ribbon on the left side, where this release the title extends above the gold box with green ribbon. The word "new" was removed from the "plus an album of new full color photos" statement and right justified. There are also differences in wrapping paper and bows used throughout. Stickers: Red background with white text sticker affixed to shrink-wrap. Reads Restored to original mono. Digitally remastered. 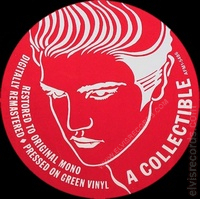 Pressed on Green vinyl. A Collectible. AFM1-5486. Disc: Gold label, Elvis 50th Anniversary. 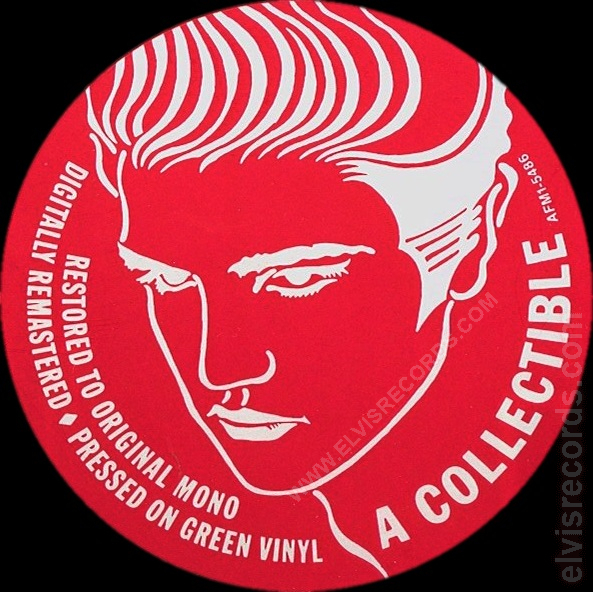 Green vinyl. Disc: Gold label, Elvis 50th Anniversary. Black vinyl. Gatefold: Pages 1 and 2, Merry Christmas Elvis, and song titles. 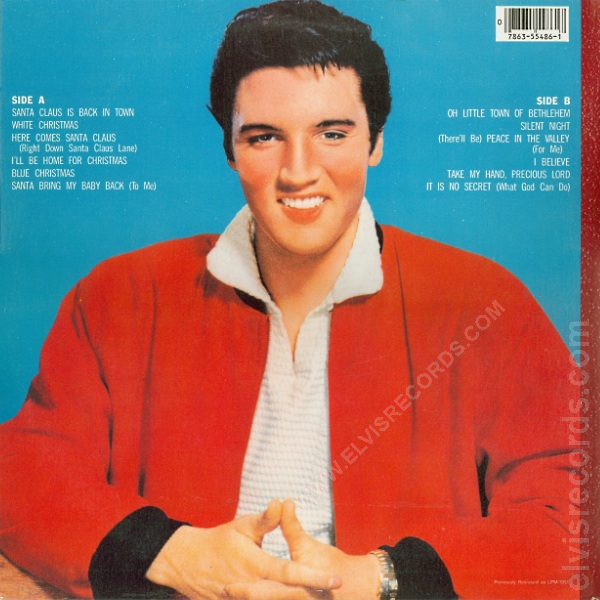 A significant difference from the original album on page 1 is that the background image is stretched where all packages are incomplete from around the edge. Page 2 differs in that the Sides are listed as Side A and Side B, whereas the original is Side 1 and Side 2. The copyright information on the bottom is © 1957, RCA Records, New York. N.Y. Printed in U.S.A. and not © by Radio Corporation of America, 1957. Gatefold: Pages 3 and 4. 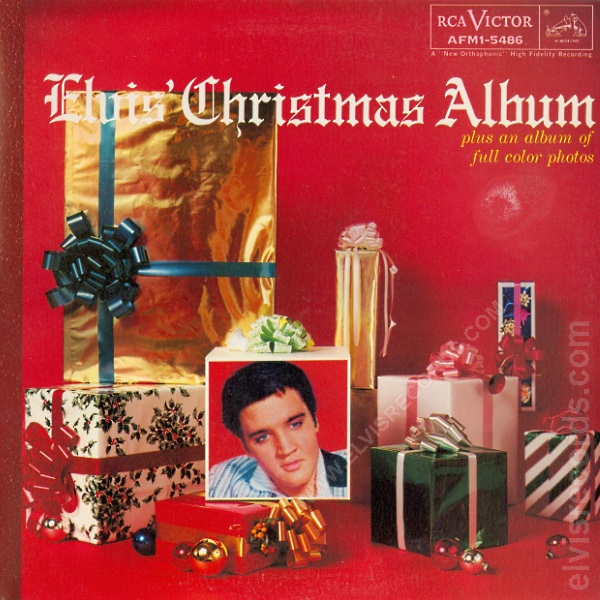 Elvis on fence, and pics from Jailhouse Rock. 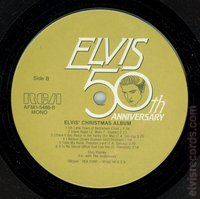 Page 12 illustrates the Elvis 50th Anniversary Releases, where the original listed releases of that era. 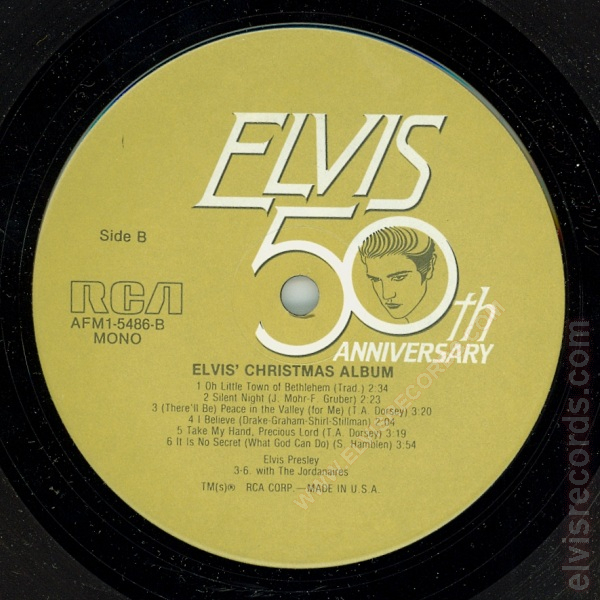 It is interesting to note that this release states that this was previously released as LPM-1951. While this is a true statement for the audio content, it overlooks that the cover is based on LOC-1035. 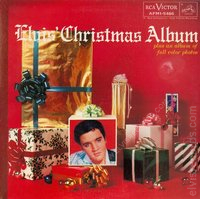 Previously released as LPM-1951 Elvis' Christmas Album in 1959.